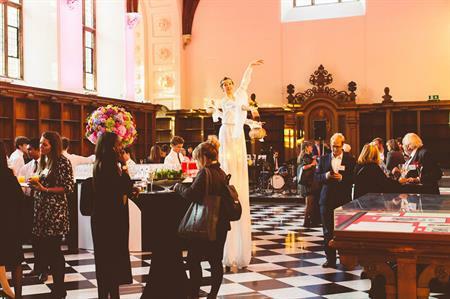 This week saw NYC & Company bring its European roadshow to London's Hotel Chantelle; Lambeth Palace launch its Great Hall venue; and CONNECTA 2015 take place in Barcelona. On Tuesday (29 September) event professionals gathered at London’s Hotel Chantelle for NYC & Company’s reception, part of its pan-European MICE roadshow, which also visited Manchester, Paris and Brussels. The event showcased New York’s C&I offerings, highlighting event venues and incentive activities, with representatives including Gansevoort Hotel Group, Kimpton Hotels & Restaurants, Lotte New York Palace and Marriott Hotels. On Thursday (1 October), 150 guests gathered for the launch of the Great Hall at Lambeth Palace. The night showcased the event spaces in the venue and guests enjoyed a food and drinks reception, as well as manicures and massages in the marquee section. Tuesday also saw CONNECTA 2015 take place at the Barcelona International Convention Centre in Spain. More than 400 representatives from agencies, venues, hotels and event technology suppliers gathered at the event, which focused on innovation and co-creation in the C&I sector. Event platform Poken partnered with the show, and recorded more than 7,900 digital interactions between participants at the one-day event. Tourism Toronto invited C&IT to join rugby fanatics from Banks Sadler, Smyle and Zibrant Live for the Rugby World Cup tie between Canada and France at Stadium MK in Milton Keynes. Tourism Toronto's director of international business development Mark Crawford traveled all the way from Canada to host the group, who enjoyed a thrilling match that ended in France's favour, beating the Canadians 41-18. 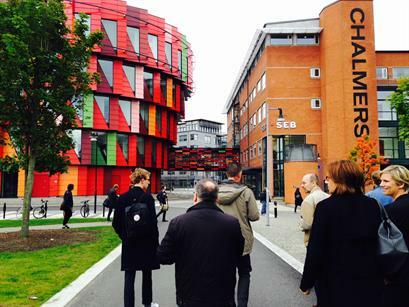 C&IT joined a press trip to Gothenburg this week (28-30 September), staying in the newly opened tower in the Gothia Towers hotel and enjoying a number of sample incentive activities including a boat tour and ‘foodie tour’ of the city and driving Volvo cars from the 1960s.